Chances are you have seen polls on Facebook. Whether they have been on pages you follow or in groups you are a part of. Polls are such an important part in our human culture because it is an opportunity for us to share our opinion on something and measure where our opinion lies with our community. If you have seen polls posted on your personal page your community that you measure up to are your friends and their friends.. Chances are you run in different circles than some of your friends. If you have seen polls posted on pages, most likely you have a connection with that page, there was a reason you followed it so your community would be centered around what that page represents. But what about Facebook Groups? Facebook Groups are groups you joined because you want to connect with the members, you have something in common. What better way to connect with like-minded "groupies" than with POLLS. 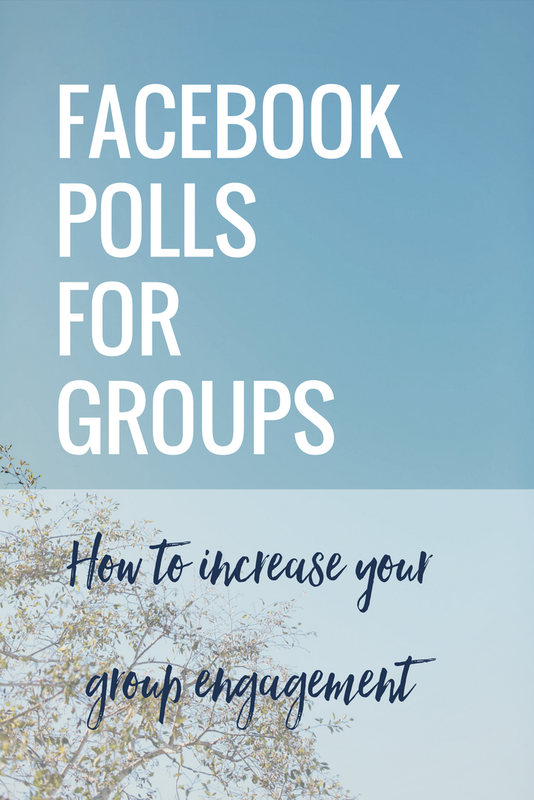 What kind of polls are recommended for Facebook Groups? Your #1 goal is to get your group talking. What do I do with the responses? I get this question all the time. Do I respond to those who participate in my poll? The quick answer is YES!! There is nothing wrong with reaching out to someone who participated and tell them "hey thank you for being such a valuable part of this group. I want to give you a virtual high-five for doing so, YOU ROCK"
That small little message may sound like it is menial, but I guarantee that your member is more inclined to continue to hang around. I would love for you to try it. Share a POLL, see what your response rate is and come back here and let me know. Better yet. Join our Community at http://communitycafe.club and let us know there with a screenshot and we can all give you a HIGH FIVE!